Ashkenazy's 20-year-old Swedish protégé proves worthy of the maestro's patronage. 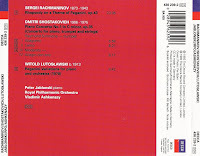 On the evidence of this disc he is a well-balanced musician with his heart and fingers in the right places, and his chosen programme is a stimulating one. 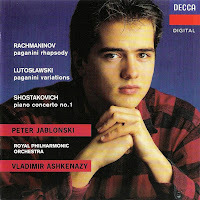 Jablonski's Rachtnaninov perhaps commands more respect than excitement, but it won my respect before I was aware of his youth. Generally lucid and level-headed, his limitations show up at extremes of the character range. In particular, he does not yet have the knack of retaining communicative intensity in quiet lyrical playing, and a number of variations, such as the first Dies irae from 322", are inclined to sit back on their haunches. Some of his loudest chords are accompanied by foot-stamping, and in the famous Eighteenth Variation Jablonski's singing tone, pleasant though it is, lacks a degree of richness—the orchestra's entry at 15'55" sounds as though taken from a different, more emotionally committed take. That said, he is a very musicianly player, and the RPO's attentive contribution and Decca's superb recording help to make this one of the more satisfying accounts on record. 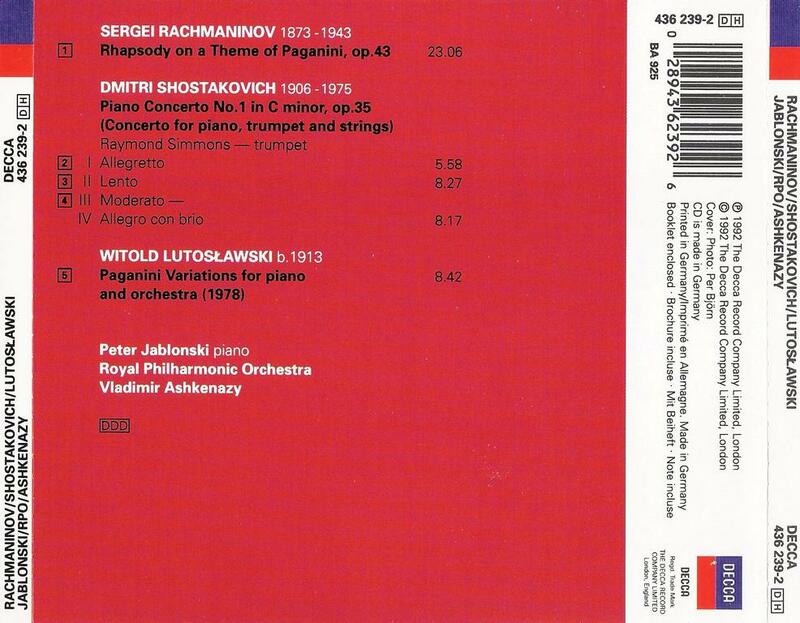 The Shostakovich concerto is a good choice, not just as a near contemporary of the Paganini Rhapsody, but as a bridge to the zany world of Lutoslawski. It receives a fluent, well-judged and idiomatic performance with every note in place and some lovely trumpet playing from Raymond Simmons. This is a valuable complement to the manically explosive Kissin on RCA; the even younger Russian's brashness did nothing for MEO but it strikes me as a perfectly valid response to the 'low-art' origins of so many of Shostakovich's ideas.